Why I Believe the Church WILL Go Through the Great Tribulation! Some years ago, our church family viewed the movie “Left Behind” based on the best selling book by Tim LaHaye. The position held in the book and the movie is that the Rapture will occur prior to the Great Tribulation, at the beginning of the seven-year period, known as Daniel’s seventieth week. (See Daniel 9: 20-27) This is known as the Pre-Tribulation Rapture. This had been my position for most of my life. However, like many people, most of us hold to positions, not because we have investigated for ourselves, but because we are lazy and easily intimidated when it comes to the study of the Bible, hence we rely mostly upon the investigations of those who we deem to be respectable and reliable. We take their word for it and do not investigate for ourselves. As we embark on this study, let me be the first to admit that I am not a Biblical scholar! I’m just a preacher in search of the truth. So in view of what I just said about seeing things for yourself, I encourage you to not just take my word on this matter. Search the Scriptures and seek the guidance of the Holy Spirit for yourself! This is a critical issue! If the Pre-Trib Theory is right, then praise the Lord for the deliverance from trial! But, if it is not correct, then we need to be preparing ourselves for the time of The Great Tribulation that is quickly approaching! We ought to pray for Pre-Trib but prepare for Mid-Trib or even Post Trib! From what I can see among Christians today, most Christians have put their stock in a Pre-Tribulation Rapture. But, have you ever thought of the consequences if they are wrong! Many will no doubt lose faith when the things come upon the earth that they thought they would not have been around to endure! Think of how devastating that would be! One other thing before we get into this study: This is not an issue that we, as Christians, should fall out about! The Rapture question should not be a source of discord among brothers! This is not an issue of salvation! If one is saved, the real issue is that soon we will all be with the Lord! If the Pre-Tribulation Rapture view is right, we will just be with him sooner with less trouble. But if we will have to go through the Great Tribulation, now is the time for us to tighten our seat-belts and prepare for the rough ride! The matter under discussion pertains to when and what we may or may not have to go through before that happens! Now, let’s clarify some terms: You will not find the term “rapture” in your Bible! The concept comes from I Thessalonians 4: 17 where Paul says that those who are alive at the coming of Jesus will be “caught up” to meet the Lord in the air, along with the Resurrected Saints. The term, “caught up” is “raptus” meaning “to seize” in Latin, from whence we get the English word: “rapture.” Paul also states in I Corinthians that all Christians will not die, but that we all will be changed in a moment, in the twinkling of an eye, at the last trump. (See I Cor. 15: 51-57). It is from these two scripture references along with some others that the fact of the rapture is established. Note in both scriptures that the Rapture and the First Resurrection are viewed as happening simultaneously or in quick order in reference to each other! This is very important in determining the timing of the Rapture! Note also the mention of the trump of God sounding! The Rapture, The First Resurrection, and The Last Trump all occur simultaneously! Now, according to scripture, there will be only two resurrections! The Resurrection of the Just, which occurs in conjunction with the rapture, and the Resurrection of the Damned, which will occur one thousand years later! Everybody in the first resurrection will be saved and will appear before the Judgment Seat of Christ. Everybody in the second resurrection will be lost and will appear before the Great White Throne! Two different resurrections, two different judgments that occur in two different settings at two different times! Aside from the things we will consider in this study, there are some other considerations that we should look at in considering whether or not the church will go through the Great Tribulation. With taking just a cursory look at the Bible, from Genesis to Revelation, one will find that the people of God were never summarily exempt from tribulation or persecution! The 430 years in Egypt: tribulation! The Wilderness Wanderings: tribulation! The Babylonian Captivity, Daniel in the Den of Lions, the Three Hebrew Boys in the Fiery Furnace! Job’s trials! All were cases of the people of God going through tribulation! In the New Testament, Jesus was crucified; nearly all of the Twelve Apostles met a martyr’s death! The First Century Church suffered persecution! Down throughout the ages, Christians have endured tremendous persecution for their faith! Even today, many Christians in foreign lands are being persecuted and are in tribulation (right now!) for the testimony of Jesus! So where do we get the idea that here in America we are so special that God is going to exempt us? Are we more righteous than all of the saints of the ages? Hardly! I think not! To think that we will be exempt because of our “faith” is foolish and naïve on our part! Most of the people involved in the so-called Faith Movement will quote the first half of Hebrews 11, but conveniently stop before they get to verse 35, which begins the “rest” of the story! So, just from what I know of the Scriptures and how God operates, an eleventh hour rescue just to keep us from trials seems highly unlikely and counter-productive! He’s coming back for a church without a spot or wrinkle! God has always used persecution and tribulation as a means of separating the wheat from the chaff, the good seed from the bad seed, and as a means of purifying the saints. Matthew 24, Knocking At The Door! Many would come in His name, saying that they were Christ; and would deceive many. There have been those who have come (approximately 140 major figures) claiming to have actually been Christ! The word “Christ” literally means “anointed” or “The Anointed One” There are many today who claim to be anointed of God! There would be wars and rumors of war. Jesus warned the disciples to be not troubled; these things must be, but the end is not yet! Nations shall rise against nations. The word for “nation” in the Greek is ethnos from which we get “ethnic.” Conflict between the races! Kingdoms against kingdoms; denotes conflict between geo-political groups, governments; international arm conflicts! Famines: food shortages, energy crises, shortages of all types! Earthquakes in various places. Pestilences are plagues, infectious diseases: AIDS, Mad cow! They (the world) would deliver the disciples up to be afflicted! “Delivered up” is the same word used to describe what Judas did to Jesus! Hence the idea is that of betrayal. Physical death; they would be killed! There would be trouble within Christendom for the true Christian! The first sign that Jesus gave at that point that would indicate the end would be when they would see the abomination of desolation, spoken of by the prophet Daniel, stand in the holy place. Now we know from cross-referencing the timing of this event from Daniel chapter 9 and from II Thessalonians chapter 2 (we will study this in more depth later) that this event will occur in the middle of Daniel’s seventieth week. According to Daniel’s prophecy the week (the final seven years that have been referred to as the Great Tribulation) will begin with the Anti-Christ (the Man of Sin; the Son of Perdition) confirming a covenant with many for one week; which is seven years. However, in the middle of the week, or three and one half years after the confirmation of the covenant/treaty, the Anti-Christ will desecrate the Jewish Holy Place and declare himself to be God! So, here in this text Jesus taught that those who believed in him (Christians) would “see” this event take place! Now, my question is this: If the Rapture occurs at the beginning of the Tribulation Period; at the beginning of the week, as many teach and as I used to believe, then how can those who believe in him see this take place? And if he knew that they (believers) would no longer be on the earth to see this happen, what was his point in warning them? Then, Jesus said, there shall be great tribulation; such as was not since the beginning of the world to this time, no, nor ever shall be. (Verse 21) So we know from this verse that according to Jesus, the Great Tribulation will start, not at the beginning of the week, but in the middle of the week, after the Anti-Christ has been revealed! In the very next verse he says, “And except those days should be shortened, there should no flesh be saved: but for the elect’s sake those days shall be shortened.” Now, my question is: Who are the elect? The elect are the Christians, those who have been chosen by God to receive salvation! It is obvious from the words of Jesus that Christians would be on earth in the middle of the seven-week period to see the abomination of desolation mentioned by the Prophet Daniel and that the period of Great Tribulation would also start at that point. Furthermore, he stated that those days (of Tribulation) would be shortened specifically for the elect’s sake! Jesus warned that if any man would say that Christ was here or Christ was over there, to not believe him! He warned that there would arise false Christs and false prophets showing great signs and wonders, so much so that if it were possible, they would deceive the very elect! Again, this is after the Tribulation starts and again, I ask the question: Who are the elect? The answer is: We are, the Christians! The reason he warned them not to be deceived is revealed in verse 27, which says, “For as the lightning cometh out of the east, and shineth even unto the west; so shall also the coming of the Son of man be.” Let’s also look at the following verses: “Immediately after the tribulation of those days shall the sun be darkened, and the moon shall not give her light, and the stars shall fall from heaven, and the powers of the heavens shall be shaken: And then shall appear the sign of the Son of man in heaven: and then shall all the tribes of the earth mourn, and they shall see the Son of man coming in the clouds of heaven with power and great glory. And he shall send his angels with a great sound of a trumpet, and they shall gather together his elect from the four winds, from one end of heaven to the other” (Matthew 24:29-31 KJV). Note that in verse 29 Jesus said, “Immediately after the tribulation of those days” So the things he said would occur in the rest of that verse and in the following verses would occur, after the tribulation! Sun and moon darkened, stars falling from heaven and the powers of the heaven would be shaken! Sounds like the aftermath of nuclear war! Then he said shall all of the tribes of the earth mourn and they shall see the Son of Man coming in the clouds of heaven with power and great glory. The implication of this is that his coming will be obvious and visible to all! Finally, he shall send his angels with a great sound of a trumpet and they shall gather together (rapture) his elect (Christians) from the four winds, from one end of heaven to the other. Notice the trumpet sound occurring in conjunction with this gathering together! Almost every reference concerning the Rapture and the Resurrection make reference to a shout of an angel and the sounding of a trumpet! Nowhere in the Bible is it even implied that there will be a secret silent Rapture! Consequently, I would suggest that not only have most gotten the timing wrong, but also they are also wrong in their descriptions of how it will happen! According to Jesus, increase wars and rumors of wars, racial conflicts, shortages, wild-spread epidemics, increase in the frequency of natural disaster, such as earthquakes are but just the beginning of sorrows. His people are to expect increase persecution and hatred from the world and many so-called Christians would betray one another. The number of false prophets would drastically increase and the world would become increasing lawless, causing the love of many to wax cold. All while this is going on, the Gospel would be preached in the entire world. The appearance of the Abomination of Desolation, spoken of by Daniel would mark the beginning of the Great Tribulation. The elect (Christians) would be around to see this happen. The days of the Great Tribulation would be of trials unprecedented in human history. Those days would be shortened for the elect’s sake. All the earth shall see his coming and mourn. He will send his angels to gather together (rapture) his elect with the great sound of a trumpet. After a careful study of Matthew 24, I believe that the church will go through the Great Tribulation! But the Bible says, out of the mouth of two or three witnesses let a thing be established, hence I will now introduce other references, which I believe concur with the findings of my study of Matthew 24. Apparently the church at Thessalonica had some questions in regard to what would happen to those Christians who died before the Lord’s return and so this section of the letter is Paul’s response to that issue. Paul wanted them to be informed as to what would happen in that regard at the coming of the Lord. Verse 14 tells us that those who “sleep” (believers who die prior to his coming) in Jesus, God will bring with him. We might also note at this juncture that wherever the Bible uses the term “sleep” in reference to death, it is always referring to the physical body. When a person dies, the soul and spirit leaves the body and the body goes to sleep. The spirit of the Christian immediately goes into the presence of God at the moment of death. Paul said, to be absent from the body is to be present with the Lord! Consequently, the spirit of an unbeliever is immediately in torment. (See the Rich Man and Lazarus in Luke 16) The purpose of the resurrection is to reunite the spirit and soul with the body. All who have died up to this point are in an incomplete state! Completion comes at the resurrection; when the spirit and soul are reunited with the body. So, this verse teaches that Jesus will bring back with him the souls of those who have died, for the purpose of reuniting them with their bodies, which will be resurrected from the grave at that time. In verses 15-17, Paul established the fact that those who are alive at the time of Christ’s coming will not “prevent” or precede, go before, those who have died. Notice that he says in verse 16 that the Lord himself shall descend from heaven with a shout, with the voice of the archangel, and with the trump of God! Again, as in Matthew 24:31, we see that the sound of a trumpet is associated with this event! He further magnifies the intensity of this sound element by saying that the sound of the trump would be as a shout and the voice of the archangel! The Rapture will in no way be a quiet secret event! Now, let’s look at sequence of events: Paul says that the dead in Christ shall rise first, then we which are alive and remain shall be caught up (raptured) together with them in the clouds, to meet the Lord in the air. Note that according to the sequence of events set forth in this passage, the Rapture and the first Resurrection will happen simultaneously! If that be the case, whenever we see references to “the last trump” we know that it refers to the Resurrection and the Rapture! Those who have died “in Christ” Jesus will bring their spirits and souls with him to reunite them with their physical bodies. Their spirits and souls will descend into the graves and quicken (make alive) their mortal bodies! Then body and soul will rise to meet the Lord in the air, together with those who are alive at that time, whose mortal bodies will have been changed as described in I Corinthians 15:51-56, and I quote; “Behold, I shew you a mystery; We shall not all sleep, but we shall all be changed, In a moment, in the twinkling of an eye, at the last trump: for the trumpet shall sound, and the dead shall be raised incorruptible, and we shall be changed. For this corruptible must put on incorruption, and this mortal must put on immortality. So when this corruptible shall have put on incorruption, and this mortal shall have put on immortality, then shall be brought to pass the saying that is written, Death is swallowed up in victory. O death, where is thy sting? O grave, where is thy victory? The sting of death is sin; and the strength of sin is the law.” (KJV) Note that in the Corinthian passage, we once again have a trumpet sounding! It will not be a quiet secret event! Jesus will bring the spirits and souls of those who have died in Jesus with him when he comes. Those (in Christ) who are alive at that time will not go before (to meet the Lord) those who have died. The Lord will descend with a shout, with the voice of the archangel and the trump of God. It will NOT be a silent secret event! The Dead in Christ shall rise first! The Resurrection will precede the Rapture in sequence! 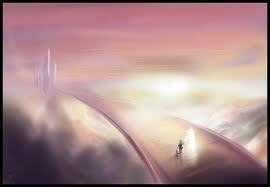 The Christians who are alive at that time will caught up (raptured) and will meet together with those who have been resurrected in the clouds with the Lord in the air. Then we (Raptured Saints and Resurrected Saints) shall forever be with the Lord. Notice that Matthew 24:31, I Thessalonians 4:16 and I Corinthians 15: 52 all mention the trump of God. I believe that in all of these passages, this is the SAME trumpet, sounding at the same TIME in all three passages. This is very important, as we shall see later, in determining the sequence of events in regard to the Great Tribulation and the Rapture. The next text we will look at is II Thessalonians 2:1-12. Whenever you run across a “first” as it regards to the title of a book in the Bible, you should also look at the “second” or the “third” also, in order to get the whole story! Many people have made errors in their theology and practice simply because they read the “first” and did not read the “second” or the subsequent books of the same title! I believe that such is the case in the study of the timing of the Rapture. Many of the Thessalonians, after reading Paul’s first letter, thought that the Rapture was imminent (going to happen real soon) and thus had stopped working, or engaging in the normal routines of life and were sitting idle anxiously waiting on the Lord. Paul wrote this section of the letter in order to correct that error. In verses 1-2, notice that Paul made reference to “the coming of our Lord Jesus Christ, and by our gathering together unto him.” So there is no doubt that Paul is referring to the Rapture/Resurrection event. He tells them to be not soon shaken in mind or troubled, thinking that the Day of the Lord (the Rapture/Resurrection event) was at hand. Verse 3 is crucial in our understanding of the timing of the Rapture. I used to believe and teach that the Rapture was imminent and that there was nothing that was supposed to happen on God’s prophetic calendar that hasn’t happened to prevent it from taking place! I WAS WRONG! According to this verse, there are still some things that MUST happen before the Rapture can occur! The first thing is that there must be the “falling away” Most English Bibles render this, “a falling away” but there is a definite article in the Greek text. This implies that this will not be just a marginal happening, but a definite and significant occurrence. The Greek word for “falling away” is “apostisia” from whence we get the word “apostasy.” Apostasy is defined as, “a defection from revealed truth.” It is men, deliberately turning away and rejecting the truth of God and choosing to believe a lie instead! As I look at the church today, I believe that we are living in the day of the Great Apostasy! The next thing that must happen is that the Man of Sin, the Son of Perdition, must be revealed! The Rapture cannot occur until after the Anti-Christ is revealed! Let me repeat that again! According to this passage, the Rapture cannot occur until after the Anti-Christ has been revealed! Now, the question that is begging to be asked is: How will the Anti-Christ be revealed? According to the scriptures, the Anti-Christ will be the one who will bring apparent peace to the Middle East region! Daniel 9: 27 says, “And he shall confirm the covenant with many for one week: and in the midst of the week he shall cause the sacrifice and the oblation to cease, and for the overspreading of abominations he shall make it desolate, even until the consummation, and that determined shall be poured upon the desolate.” (KJV) The Anti-Christ will be the one who will be able to successfully bring the Arabs and the Israelis together in a seven-year peace covenant. Notice that according to Daniel, the Anti-Christ will NOT MAKE the covenant, he will CONFIRM, which means, to make strong or strengthen” the covenant. The implication is that the covenant that he will confirm will be one that will already be in existence. Some people think that this could very well be the Jerusalem Covenant that was initially signed in 1993! The next question that must be considered in this regard is: What is to be the “revealing” sign that reveals The Man of Sin? Will it be his confirmation of the covenant with the many at the beginning of the seven-year period? Or will it be his standing in the Temple in Jerusalem and declaring himself to be God at the mid-point of the seven-year period? If we are to think logically about the matter, it would seem that to Paul indicated the revealing sign in verse four, which says: “Who opposeth and exalteth himself above all that is called God, or that is worshipped; so that he as God sitteth in the temple of God, shewing himself that he is God.” (KJV) So, if that be the case, if that is indeed how the Anti-Christ will be revealed, then the Rapture cannot occur until after the middle of the seven-year period, because it is in the middle of the seven-year period that the Anti-Christ will stand in the Holy Place and declare himself to be God! If the revealing of the Anti-Christ was to be when he confirmed the covenant, then surely Paul would have said so, since his purpose in writing was to inform them of the specific happenings that must occur before the Rapture would or could take place! Also, the indication we get from verse five is that Paul had discussed this with them on a previous occasion. Another mystery in reference to this passage is that Biblical scholars are not sure who or what Paul is referring to in regard to the “he” in verse 7. Who is the “he” that is now hindering the Anti-Christ from being revealed but will one day be taken out of the way? Many of those who espouse the Pre-Tribulation Rapture seem to think that the “he” is the Holy Spirit, who will be withdrawn when the church is raptured. But the Bible says that no Scripture should be of any private interpretation. In other words, the best way to check Scripture is with Scripture! Nowhere else in the Scriptures is there even a hint that one day God will remove the Holy Spirit from the earth! Surely if that was indeed the case, there would be many cross-references! Some others seem to think that the “he” is law and order personified. In other words, when law and order in society and governments completely break down, then the Anti-Christ will be revealed. At any rate, the Bible says that the Anti-Christ will be able to work powers and lying wonders and will deceive those who love not the truth! Furthermore, God will send a strong delusion that they should believe “the” lie! a) There must be a “falling away” first: The Great Apostasy! Hence any teaching that we may hear today that teaches that the Rapture could occur at any time is false according to this passage! There are certain things that must happen BEFORE the Rapture occurs! I used to think and teach that the Rapture occurs in The Revelation at Chapter 4, verse one. Many commentators have concluded that since John’s viewpoint changes from earth to heaven at that point, along with the fact that the word “church” does not appear again in The Revelation until 22:16, that the catching up of John from earth to heaven is a symbolic representation of the translation (rapture) of the Church as occurring before the events of the Tribulation described in chapters 6-19. These commentators also believe that the Twenty-four Elders are representative of the church. But remember, it has been established by Jesus in Matthew 24:31, Paul in I Corinthians 15: 51-52 and also in I Thessalonians 4:15-17 that the Rapture and the first Resurrection will occur simultaneously accompanied by the great sound of a trumpet! Hence we can conclude that the Rapture in The Revelation occurs at the same place in which we would find the first Resurrection (the resurrection of the Just)! But before we pinpoint the Rapture in The Revelation, I want us to look at some things that will further my original premise that the church will go through The Great Tribulation! First let’s look at Revelation 6:9-7:17. Notice the sequence of events! Verse 9 is Jesus opening the fifth seal of the Book of The Seven Seals. But let’s start with the first four seals and then work our way through. I believe that the rider of the white horse in the first seal is the Anti-Christ! Notice that he is riding on a white horse and has a bow, but there is no mention of arrows. Also note that he is “given” a crown! The Anti-Christ will come to power in a peaceful manner. Consider Daniel 11:21: “And in his estate shall stand up a vile person, to whom they shall not give the honour of the kingdom: but he shall come in peaceably, and obtain the kingdom by flatteries. (KJV) The rider of the red horse at the opening of the second seal is war! The Anti-Christ will bring a false peace, but soon war will break out! The rider of the black horse at the opening of the third seal is famine. The rider of the pale horse at the opening of the fourth seal is death. So there we have the Four Horsemen of The Apocalypse: The Anti-Christ, War, Famine, and Death! But look at what we encounter at the opening of the fifth seal! We see, under the altar of God, the souls (un-resurrected saints) of them who had been slain for the word of God and the testimony that they held! They are anxious for vindication, but they are told to wait until their fellow servants and brethren would be killed (during The Great Tribulation) as they were! When we read Revelation 6:12-17 we are reminded of the very words that Jesus used in Matthew 24: 29! As we fast-forward to Revelation 7:14, we encounter a multitude that no man could number who had come out of The Great Tribulation, who had washed their robes and made them white in the blood of the Lamb! Notice that this multitude is standing before the throne of God, clothe in white robes with palms in their hands! I believe this group of people comprise those of Revelation 6:9 and the rest of their brethren. While many English Bibles say, “These are they that have come out of great tribulation.” The Greek text has a definite article before “great” and before “tribulation.” These were not saints who had come out of just the general tribulation that one might encounter by being a Christian; these were they who had come out of The Great Tribulation! Now, my question is this: If the church is to be raptured before the Great Tribulation, then who are these people, if not the church? Will there be a “second” first resurrection for them? Here’s more proof that the saints are still on earth when the Anti-Christ is revealed! Revelation 13 talks about the rise of the Anti-Christ and the mark of the beast. Notice Revelation 13:7 which says, “And it was given unto him to make war with the saints, and to overcome them: and power was given him over all kindreds, and tongues, and nations.”(KJV). Now, my question is: How can the Anti-Christ make war with the saints if the saints have already been raptured? And, if the “he” in II Thessalonians 2:7 is the Holy Spirit, as those who espouse the Pre-Tribulation Rapture claim, then how can there still be saints on the earth when the agent of regeneration is no longer present on the earth to draw men to God? Now, let’s jump ahead to Revelation 20:4-6 which says, “And I saw thrones, and they sat upon them, and judgment was given unto them: and I saw the souls of them that were beheaded for the witness of Jesus, and for the word of God, and which had not worshiped the beast, neither his image, neither had received his mark upon their foreheads, or in their hands; and they lived and reigned with Christ a thousand years. But the rest of the dead lived not again until the thousand years were finished. This is the first resurrection. Blessed and holy is he that hath part in the first resurrection: on such the second death hath no power, but they shall be priests of God and of Christ, and shall reign with him a thousand years.” (KJV). Remember now, there will only be TWO Resurrections! Also be reminded, from what we have gathered from this study, that the first Resurrection and the Rapture will occur simultaneously. Hence all the saved will be included in the first resurrection but the rest of the dead will not be raised until a thousand years later! All in the first Resurrection are saved! All in the second resurrection are lost! My friend, the only way that the Pre-Tribulation Rapture can hold water in a Biblical sense is that there must be an additional resurrection! But the Bible clearly states that there will only be two: separated in time by a thousand years! Notice also John’s description of these who are in the first resurrection, it included those that were (1) beheaded for the witness of Jesus, and for the word of God, (2) those which had not worshiped the beast, neither his image, neither received his mark upon their foreheads, or in their hands! My brothers and sisters, these are the saints who are killed during the Great Tribulation! THERE WILL NOT BE a first resurrection for all the saints who had died before the Great Tribulation and then ANOTHER first resurrection for those who die in the Great Tribulation! There WILL BE ONLY ONE first resurrection! There are many other references that we could cite, but the purpose of looking at these references was to confirm the fact from different sources; Jesus, Paul and John that reading without prejudice, the Bible seems to indicate that the Rapture will occur AFTER the GREAT TRIBULATION!!! Someone might ask, “Why would I go through so much trouble to produce this study?” “Why is this so important?” I did this study because most of the church today is making a mistake similar to the one the church at Thessalonica made! That church was going through tremendous persecution and many believers felt that the Great Tribulation had already begun! As a result, many of them quit working and were spending their time, idle, waiting on the Lord to return! Paul wrote them to tell them that the time of the Great Tribulation was not yet! There were certain things that were to happen before that time came! Our problem in the American Church has not been persecution, although I believe that it soon will be! Our problem is that we have become so engrossed with the things of this world system that we are spiritually dull and perfectly at ease in Zion! The Pre-Tribulation Rapture Theory is dangerous in that, although it promotes a sense of being prepared at any time, the timing just doesn’t hold up to Biblical scrutiny! And in a sense, it provides a false sense of security! After all, why should we, as Christian be concern about what’s going to happen and the terrible things that will befall those on the earth at that time, if we believe that we will not be here to endure those things? But, as I said in my introduction, what will we do if the Pre-Tribulation Rapture Theory is wrong? (I believe that it is!) We will not be prepared mentally, spiritually or emotionally for that time! As a result, many will recant their faith and lose the victory! Jesus said that he that would endure to the end would be saved! My friend, this is nothing for us to argue about! In so many Christian circles many people have fallen out over the timing of the Rapture! My only purpose in preparing this study is to encourage you to take an un-bias look at the Book and see what it says as oppose to reading it through denominational and doctrinal lenses. Study the word for yourself! Sure we are to consult the opinions of others who are learned, but ultimately, the responsibility for you studying, learning and applying the word of God is not the Bible scholar, not the Sunday school teaching or even the Pastor! The responsibility is yours! If the Pre-Tribulation Rapture Theory is right, then Praise God we will be delivered from the trials! But, if it is wrong, then we need to, even now be under girding ourselves even more, to prepare for the difficult days ahead, that we might have the faith that God will sustain us in the midst of the trials! God has always used tribulation to purify his people! He DID NOT deliver the three Hebrew boys FROM their tribulation; he delivered them in the MIDST of it! But whether He comes for us before or after, let us prepare NOW to meet our GOD!